Charming ranch in the heart of Kirkwood. 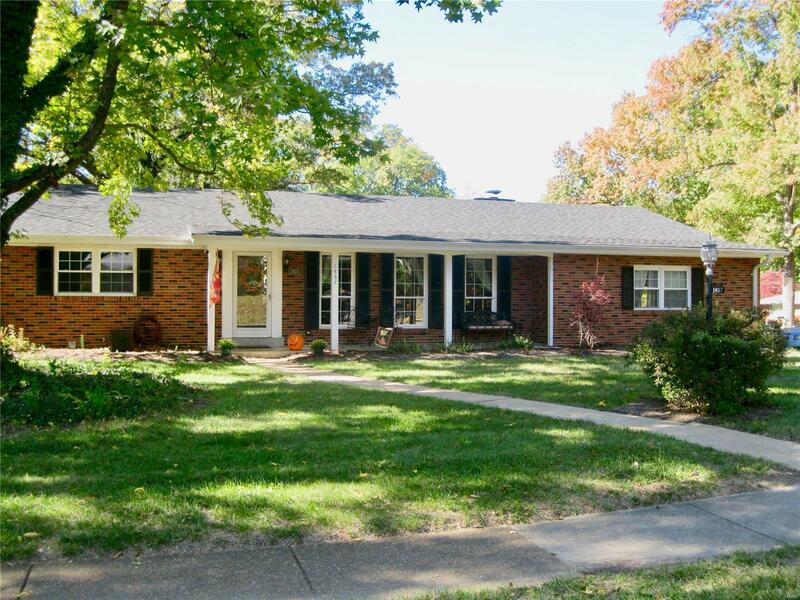 Walking distance to Westchester Elementary and North Kirkwood Middle Schools. The broad covered porch welcomes you and your guests. Upon entering you are greeted by a light filled living/dining combo with wood floors. The updated kitchen features a double stainless sink, custom cabinets, ceramic floor, and open access to the family room. The large family room features wood floors, access to the rear yard, and is anchored by a fireplace. The master en-suite offers wood floors and generous sized closet. Two additional bedrooms and a full bath round out the main floor. The finished lower level features a sunny laundry room with built in cabinets, a family room with engineered wood floors, a rec room, full bath with Jacuzzi tub, several storage rooms, and a bonus room that can be used for guests, a home office, craft room, & much more. Sitting on a corner lot this well maintained home has a 2-car garage, fenced rear yard, & newer a/c unit & roof.